You need an Apple ID to use an iPhone but what do you do if you don’t have a credit card? 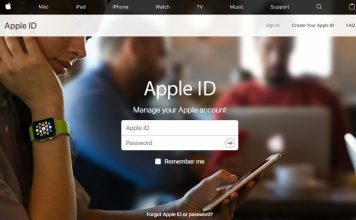 While creating an Apple ID without a payment method was fairly easy in the past, of late Apple does not allow users to create an Apple ID without adding credit card details. This is certainly a problem for teens who don’t have their own cards. Plus, this also a problem if you want to install iOS apps not available in your country. 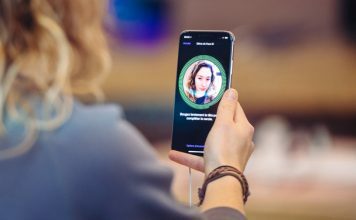 Well, as you might have guessed, there is a way to create Apple IDs without any payment method. Note: I have tried this method on an iPhone 7 Plus, as well as an iPhone 6s, running the latest version of iOS 10, so it should work for you too. 1. 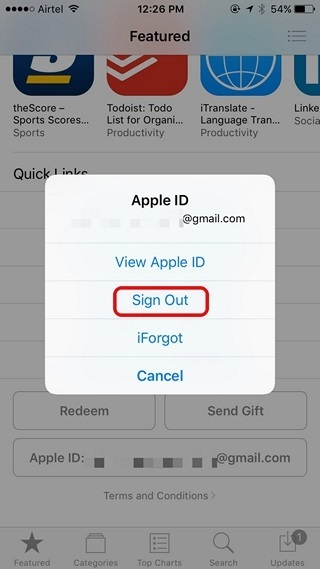 Open up the App Store on your iOS device and make sure to sign out from any Apple account that you might be using. 2. 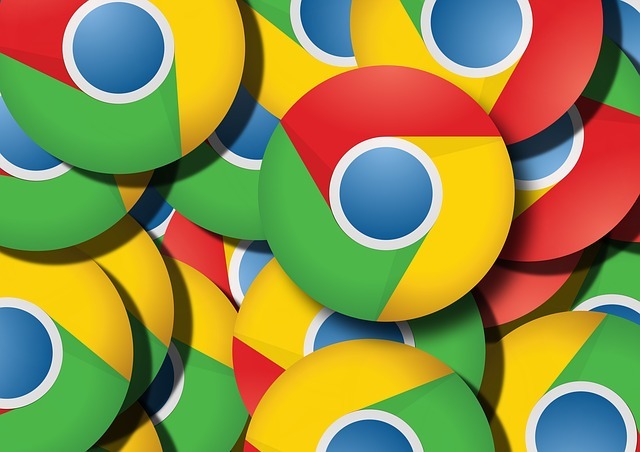 Now, search for any free app to install. 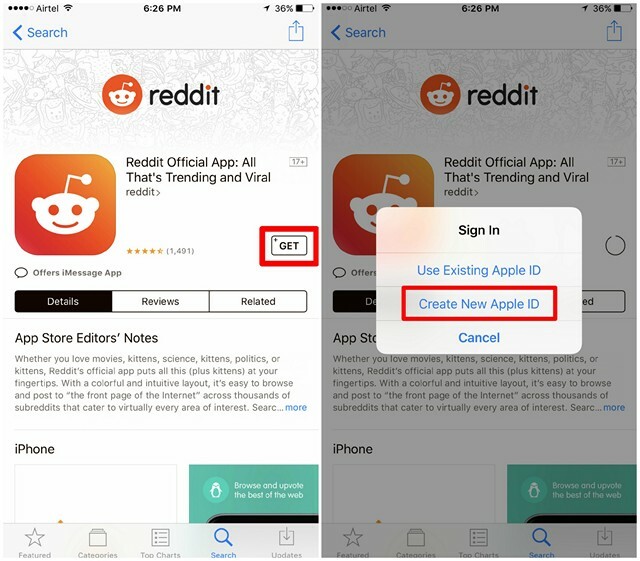 I’m installing the official Reddit app here. Tap on “Get” to try and install the app. Now, a prompt should come up asking you to sign in. Tap on “Create New Apple ID”. 3. 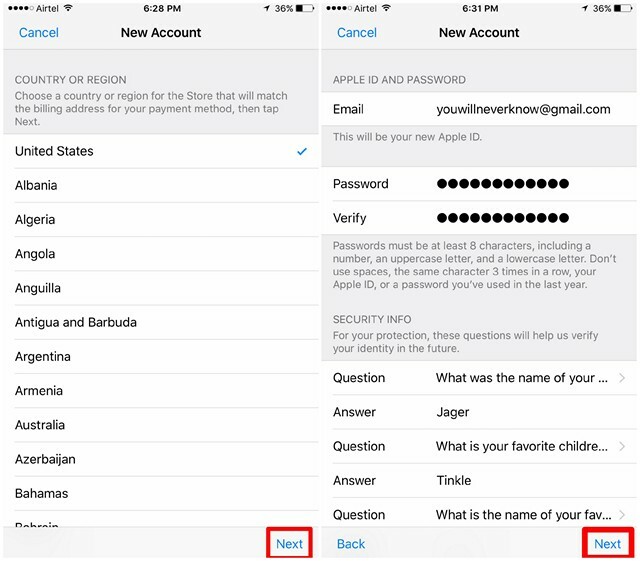 Now, choose your country and move on to the next step, where you’ll be required to fill all the details for your new Apple ID, including security questions. Once done, tap on “Next”. 4. Moving on to the next page, you’ll notice that you can choose “None” as your Payment Method. Tap on that and fill your name, billing address, zip code and phone number. Once you’re done, press “Next” to verify your new Apple account. 5. 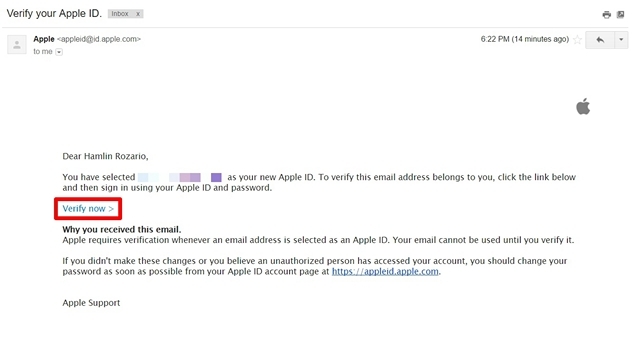 Log on to the e-mail that you used for the Apple account and you’ll notice that you’ve received a verification mail from Apple. 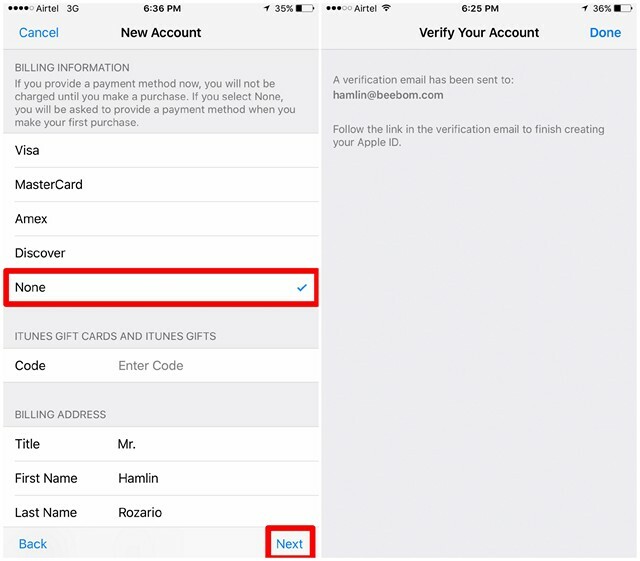 Click “Verify Now” to complete the whole procedure by simply logging on to Apple ID website. Well, that was easy, right? You can now use this Apple ID to install apps from the App Store, use iCloud and do a lot more on your iPhone or iPad. Note: This method only works while you are trying to install a free app without any Apple ID logged in. If you try to create an Apple ID without installing an app, you will not get the “None” option in the payment method page. Well, now that you know how to make a new Apple ID without a credit card, you no longer need to ask your parents for their credit cards. That being said, we still cannot understand why Apple doesn’t allow users to create Apple ID directly without a credit card. If it’s possible to do it, by simply trying to download a free app, they could very well enable it, instead of creating confusion among the consumers.